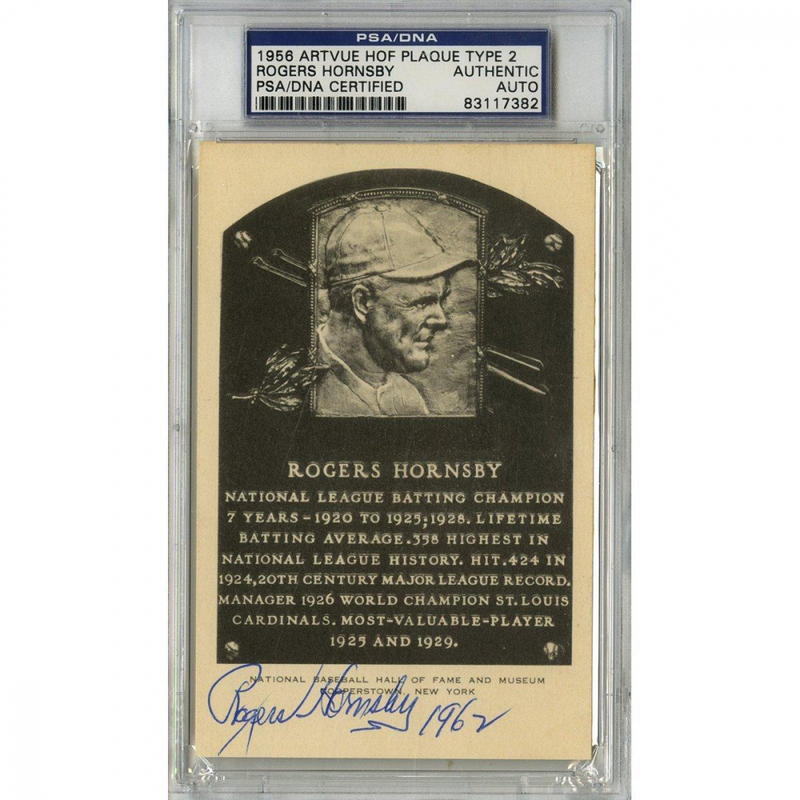 1956 Artvue Gold Hall of Fame postcard has been hand-signed and inscribed in blue ink pen by Roger Hornsby (D. 1963, Cardinals HOF). Hornsby had a career batting average of .358, which is the second best average in history behind Ty Cobb. He's a two-time MVP (1925, 1929), World Series Champion (1926), and Triple Crown winner (1922, 1925).